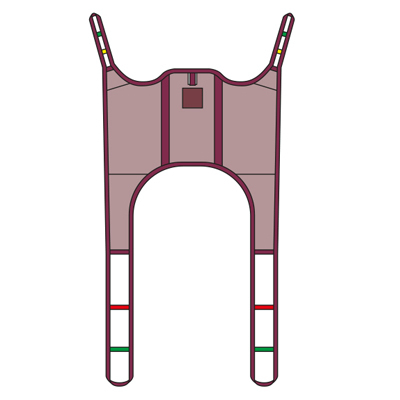 Low Back patient transfer sling offers enhanced support for the lower back area, with a semi rigid foam lining to the back and legs and removable back support stiffeners. Suited to end users with good body tone with sufficient control of head and upper body. This sling also features a detachable elasticated waist support as standard. Large opening around lower body ensures hygienic toileting and makes clothing changes easier. Comes in Mesh and Polyester options.